Positano, Italy wedding photographer Brie Thomason. If you have never been to Positano, Italy, I highly suggest it! Italy is my absolute favorite, and photographing there is a dream. The culture, the light, and the stunning architecture all come together to make photographers dreams come true. I swear that every corner of Italy can and should be photographed. 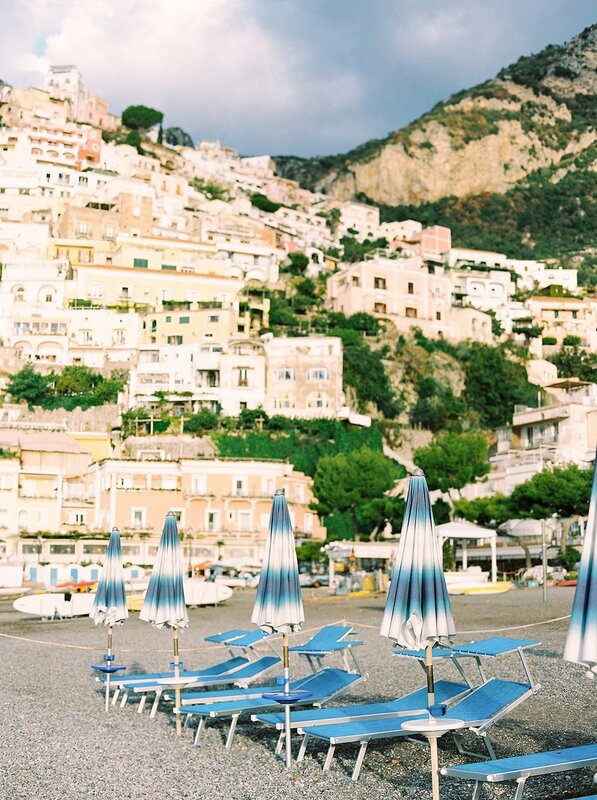 Positano is famous for the fun beach chairs, pebble beach, and amazing food. After we finished our shoot, we had a delicious breakfast right off the beach. I was blessed to be able to photograph a wedding in a gorgeous town called Ravello, which was about 30 minutes away from Positano. Getting to spend a week on the Amalfi Coast was a dream. The pasta, wine, and gelato should be enough reasons to visit! Here are some of my favorite images from our editorial shoot in Positano.